Locomotive #37 approaching the end of the Signal Butte switchback tail track on Lee Christopher's fine McCloud Railway layout. 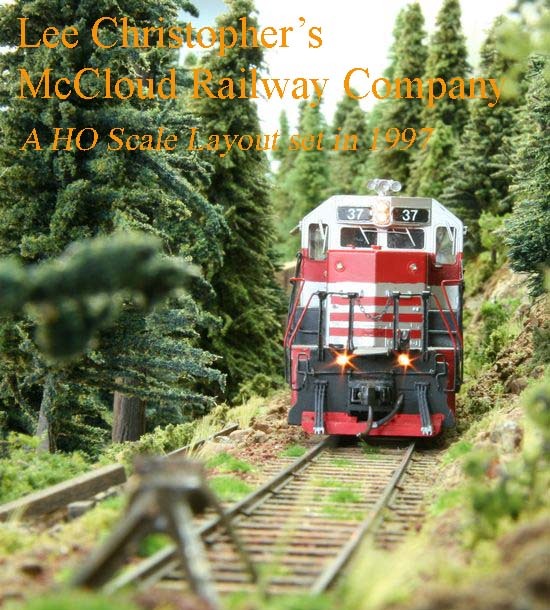 A good friend of McCloud Rails found photographs of Lee Christopher's HO scale layout representing the McCloud Railway Company circa 1997 on the railroad-line.com discussion board. After seeing only a couple photos McCloud Rails staff had to get in contact with Lee. Lee has granted permission for us to display his photos of his layout on this page. Thank you very much, Lee! 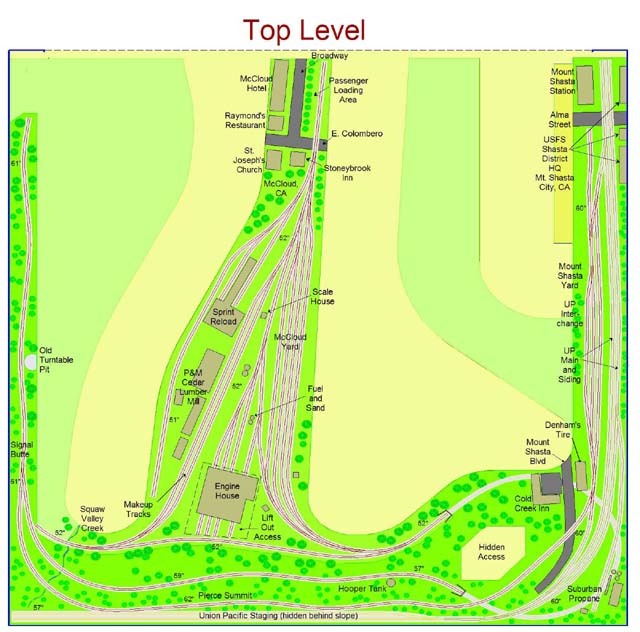 Lee has done an absolutely incredible job on this layout; we think you will agree. 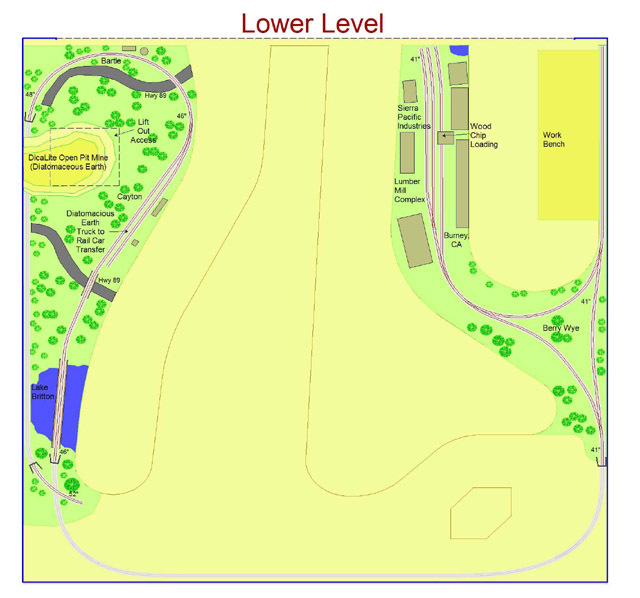 Lee estimates that his layout is about one third complete; the area representing Mount Shasta to a little shy of McCloud is fairly complete, with the line through Cayton to Burney to be represented in a currently unfinished portion of the layout. McCloud Rails staff will continue to post photos of more of this fine layout as Lee is able to send them along.